SAN FRANCISCO (Reuters) -- Indian Prime Minister Narendra Modi's trip this weekend to Silicon Valley gives Facebook and Google the chance to press him on issues that have bedeviled them in that country, a market they see as vital to their aggressive global expansion. Among their concerns are unreliable electricity, slow Internet speeds and an education system that does not produce the engineers they need. For Facebook and Google, India is a crucial market. With 1.3 billion people, it is the world's second most-populous country - and they are blocked from China, the most populous, making success in India even more critical for their global growth. For well-traveled Modi, the first trip to the U.S. West Coast by an Indian leader in more than 30 years is a chance to get help on his top policy initiatives, including "Digital India," which aims to connect thousands more Indian villages to the Internet and create more tech jobs. "I've been in the Valley for two decades, and I've never seen Indian policy or leadership have a deep engagement with the Valley" until now, said Punit Soni, chief product officer for Flipkart, India's largest e-commerce company and a former Google executive. Facebook and Google executives were scheduled to travel to Seattle for a visit this week by Chinese President Xi Jingping, but sources close to the companies told Reuters they would not be meeting with him one on one. 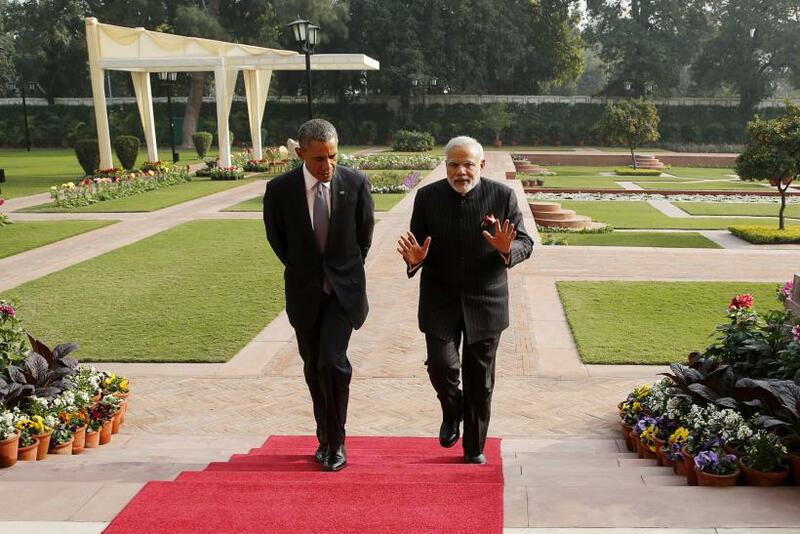 In contrast, Modi is visiting Google's campus and will hold a town hall with Facebook CEO Mark Zuckerberg. Both Facebook and Google declined to comment ahead of Modi's visit. Modi clearly understands the power of social media: His more than 30 million "likes" on his Facebook page and 15 million Twitter followers make him the second most-followed political leader after U.S. President Barack Obama. Modi is eager to bring jobs to India for the 1 million Indians entering the job market each year, foreign policy experts said. India needs to maintain GDP growth of 9 percent a year to provide them all jobs, but the rate is currently hovering at about 7 percent. He sees technology as vital to increasing that rate. Facebook and Google have added staff in India over the past five years - although neither breaks out staff numbers by region - but Modi will likely press for even more, seeking deals for them to build research and development centers in India and for the companies to employ more local Indians. "(Modi's) top programs ... are based on the idea that international companies will invest money and bring in technological know-how to build out the infrastructure - digital and otherwise - that India needs," said Mukesh Aghi, president of the US-Indian Business Council.